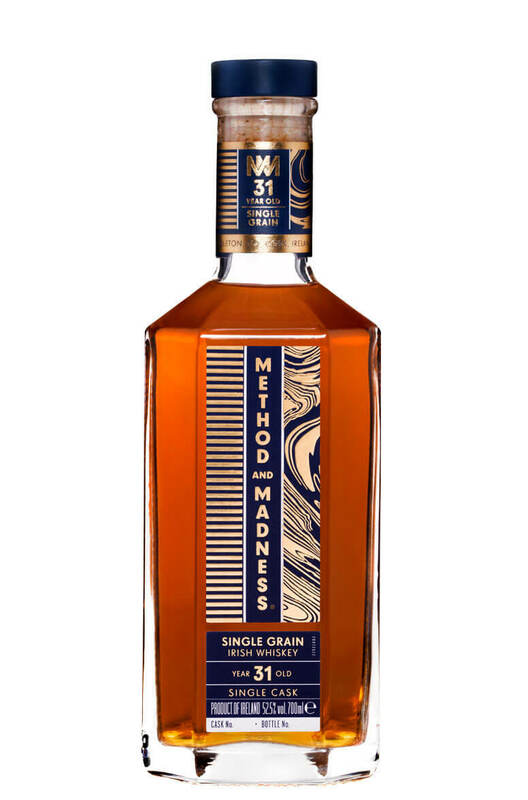 The limited edition Single Grain Irish Whiskey 31 Year Old has been matured in an ex-Bourbon cask for 31 years. The rare single cask release has developed a “full deep grain character” and on the palate notes of “honey, juicy mango and ripe melon with an endless dark wood and spicy finish”. The expression, which includes three single cask offerings, is bottled without chill filtration and ranges from 51.3%, 51.8% and 52.5% abv. The current bottling we have in stock is cask 21617 and was limited to 75 bottles.